RE/MAX Affiliates Geoff & Bobbie McGowan Realty Ltd.
Point2 Homes gives you far more than a simple list of houses for sale. Get instant access to a lot of relevant information about Ottawa, ON real estate, including property descriptions, virtual tours, maps and photos. The search results pages also have a wealth of information on Ottawa, ON, if you scroll all the way down. 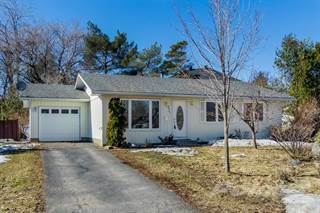 There are 1,641 houses for sale in Ottawa, ON. 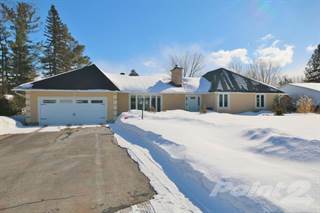 Searching homes for sale in Ottawa, ON has never been more convenient. 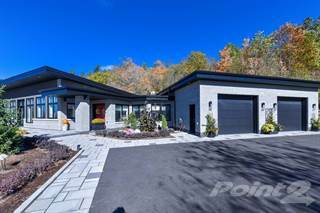 With Point2 Homes, you can easily browse through Ottawa, ON single family homes for sale, townhomes, condos and commercial properties, and quickly get a general perspective of the real estate prices. Also, you’ll never miss a bargain if you filter listings based on house price drops in the past six months. Use the map view to find Ottawa, ON homes and apartments for sale, based on amenities or city features that you may want close by. You can close in on a specific neighbourhood or area by simply drawing around them with the polygon or radius tools. Stay informed about the latest entries on the real estate market by saving your searches. This way, you get new listings in your inbox, daily or every week, based on your preferences. If you’d like to get in touch with a professional, agents are displayed next to their listings, and they’re easy to contact through the online forms. If you want more options, you can click the Tools tab and Find an Agent, and you’ll get a list of helpful and knowledgeable real estate agents in Ottawa, ON. Visit the Point2 Homes blog and you can find up to date expert advice on many markets throughout Canada, regular market reports, neighbourhood scoops in cities throughout the provinces, real estate deals and useful recommendations. Located in southeastern Ontario, Ottawa is the capital of Canada. The city is famous for its high standard of living, impressive cultural scene, and top-notch education. Ottawa has a population of about 952,000 people and spans 2,779 square kilometres of land, bordering the province of Quebec via the small city of Gatineau. With over half of the population possessing post-secondary qualifications, Ottawa provides a very competitive real estate market for its high-income residents. The most interesting aspect of Ottawa’s real estate market is how things radically change depending on the neighbourhood that is being looked at. New homebuyers in Ottawa will be surprised to see how things can change between neighbourhoods that are adjacent to one another. For example, the Lebreton Flats neighbourhood of Central Ottawa is home to rapid development of low-rise and high-rise condos that have garnered significant interest from prospective homebuyers. The modern design of these condos is particularly enticing to younger populations entering the workforce. On the other hand, Sandy Hill is located right beside the University of Ottawa and is home to many of its students. Ottawa is home to several attractions and spectacles that will keep tourists busy for days to come. For example, Ottawa is home to several museums that span many industries including nature, war, science & technology, space & aviation, and finance. The most popular museum is the National Art of Gallery, which is home to many famous art pieces and seasonal exhibits that revolve around an artistic theme. Ottawa also boasts a fairly large music scene. Located in the downtown area is the National Arts Centre, home to some of the best musicians and performers in the world. They host numerous events on a daily basis for affordable prices and continue to attract top-tier talent on an international level. Last but not least, the downtown area is home to all of the federal government buildings that many Canadians will know by heart. The most popular tour revolves around Parliament Hill, home of Canada’s legislature. Tourists can purchase a tour that will cover the history of Canada, how Ottawa came to be a city in 1826 and the roles that each sector government plays in keeping Canada a prosperous nation. The city of Ottawa can generally be divided into 4 different sections: Central Ottawa, East End, West End, and South End. Each of these sections contains at least 12 different districts and neighbourhoods. For example, the Lebreton Flats neighbourhood of Central Ottawa is home to rapid development of low-rise and high-rise condos that have garnered significant interest from prospective homebuyers. The modern design of these condos is particularly enticing to younger populations entering the workforce. On the other hand, Sandy Hill is located right beside the University of Ottawa and is home to many of its students. The community consists of several detached homes where students can live together in order to save money on the monthly rent costs. The East End, as previously mentioned, is home to some of the most expensive properties in the city. In particular, Rockliffe Park and New Edinburgh contain a majority of said properties. It is no surprise to see that high-profile ambassadors, scientists, and wealthy business owners tend to occupy these homes. All of the homes are detached, with each holding multiple bedrooms and bathrooms. It is not uncommon to see amenities such as tennis courts and pools being a part of these homes due to the thousands of square feet that these properties occupy. The West End is primarily composed of suburban communities that are extremely dense in the number of homes that are available. These are primarily townhomes that are aggregated within a few feet of each other, mixed with a few detached properties that are larger in size. With nearby access to major roads, residents can commute to their workplace without any problems. These neighbourhoods only contain a few chain retail stores due to the high population density. The South End contains the least amount of real estate development, yet contains one of the most difficult real estate markets to break into. One of its most notable neighbourhoods is the Alta Vista area. Due to the old age of these properties – at least half a century – and the convenient location that provides nearby access to all of the city’s main services, residents will very rarely put their homes up for sales and they are bought just as quickly as they are advertised. Homes here include detached homes, semi-detached homes, bungalows, and apartments. The properties here contain a large amount of free space and vegetation in relation to the size of the home. The following table, based on data taken from the Canadian Real Estate Association (CREA’s) National MLS® Report for April 2016 (the latest information available), demonstrates how homes in LSTAR’s jurisdiction continue to maintain their affordability compared to other major Ontario and Canadian centres. As one of the most educated cities in Ottawa, it is no stranger to offering education at the highest level. There is0. a wide range of universities and colleges that each offers their own specialities. For example, the University of Ottawa places a heavy focus on innovative scientific research. Algonquin College, on the other hand, excels in the fields of contemporary arts and trade work. When it comes to elementary schools in the K-8 range, Ottawa has an impressive 220 public schools and 75 private schools that provide children with a very high level of education. Amongst the highest-ranked in reading, writing and math include Edouard-Bond, Elmdale, Mutchmor, and Hopewell Avenue. Many of these schools are home to international academic competitions and initiatives that provide students with opportunities to advance their knowledge and skills beyond what is taught in the classroom. Boasting the lowest unemployment rates and highest standard of living in the country - along with being one of the most educated cities in the country - Ottawa is in no short supply of economic success. It is considered to be an impressive hub for locating jobs in the science, technology, health, and federal government sectors. Job growth continues to rise, with tens of thousands of new workers employed every year.